Your kids will love watching this car cartoon. Orange dump truck and blue cement mixer are racing, but fall into a huge hole. What will red crane, yellow bulldozer, and yellow excavator do about their friends? 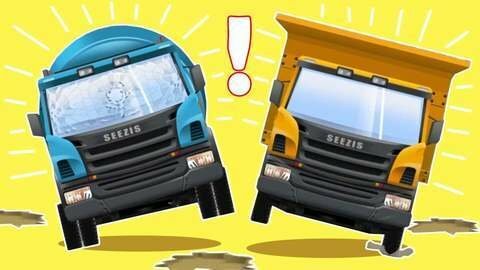 For more of the best car cartoon videos online, go to SeeZisKids.